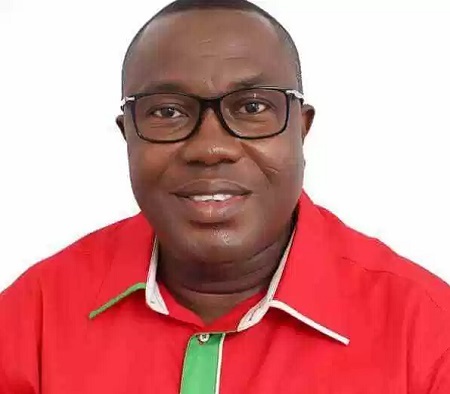 National Chairman of the Opposition National Democratic Congress (NDC) Samuel Ofosu Ampofo is to appear in court over his alleged leaked tapes. 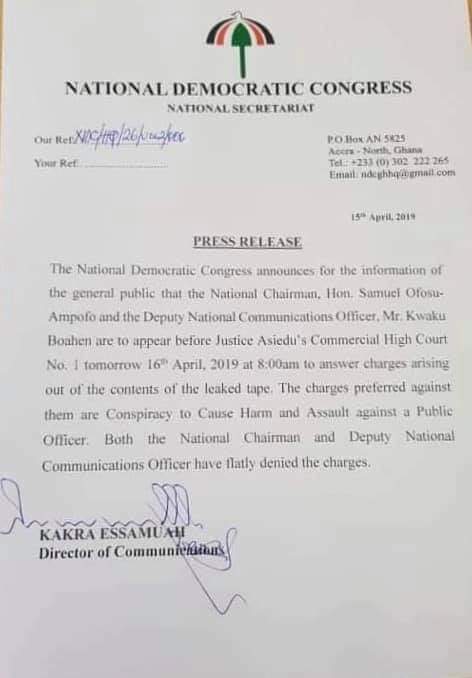 Deputy Communications officer of the NDC is also expected to appear in court over the leaked tapes saga. Both executives are to appear before Justice Asiedu’s Commercial High Court No. 1 at 8:00am according to a release issued by Kakra Essamuah, a Director of Communication at NDC. They are to answer questions on the charges leveled against as a result of the explosive tapes. Mr. Ofosu Ampofo, it would be recalled, was caught on tapes earlier this year purportedly calling for the assassinations and kidnappings of some Ghanaians as well as waging a “ruthless” war against the Chairperson of the Electoral Commission, Jean Mensa. He was subsequently charged together with Kwaku Boahen, the NDC’s Deputy Communications Officer by the Criminal Investigation Department of the Ghana Police Service.